Exploring local cuisine can play an important role in understanding and appreciating a new culture. Food can provide both host families and Ayusa students alike a meaningful cultural experience to discover the practices, rituals, and beliefs that surround food and its consumption. There is often deep history and meaning rooted into the gathering, preparation, and serving of food. This month, Ayusa hosted a special contest for its YES students to prepare their favorite meal from their home country for their host families. This week our featured recipe is from Lydia from Egypt who prepared a feast for her host family in Oregon! My name is Lydia Labib and I am from Cairo, Egypt. I decided to make my host family an Egyptian dish to get them to experience what Egyptian food is. I made them the traditional pasta with béchamel that my grandma always makes for us. I also made an Egyptian salad, a cucumber and yogurt dip, and a traditional Easter meal called Koshari. Koshari is a popular street food found in Egypt consisting of a mixture of rice, lentils, chickpeas, and macaroni. The traditional pasta, ground meat, and béchamel dish often makes an appearance at Egyptian tables with more than five people as it is very rich and filling. The Egyptian elements come from the ground meat, spices, and onion, whereas the pasta and other elements derive from Greek and Italian immigrants who introduced a Mediterranean influence on traditional Egyptian foods. Preheat oven to 350 degrees F (175 degrees C) and boil pasta according to instructions then set aside. Melt butter in a saucepan then add flour. Slowly add milk. Stir constantly until smooth. If necessary, add cornstarch to thicken. Heat oil in a frying pan then add onion. Cook until yellow. Add minced turkey meat and blend with onion. Add salt, pepper, and garlic. Mix tomato paste in a cup of water and add to minced meat. 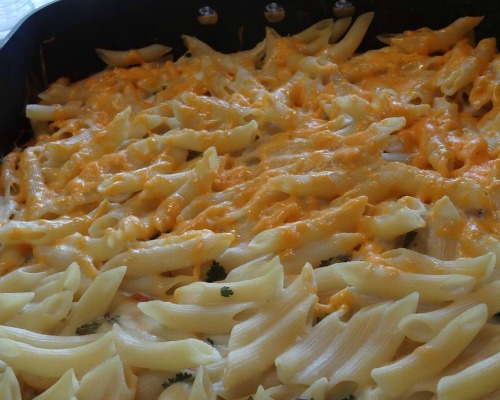 Layer the bottom of a baking dish with half the cooked pasta then pour half of the béchamel on top. Add cooked minced meat on top the layer of pasta, sprinkle with parsley, then add remaining pasta. Mix the egg and remaining béchamel in a bowl then pour on top. Add cheese on top, then place in the oven until the crust is golden brown.